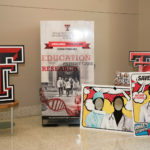 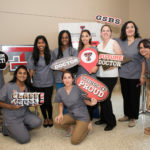 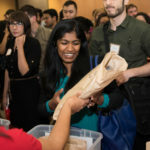 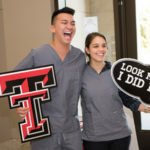 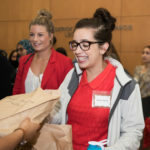 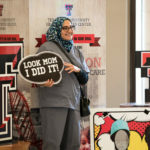 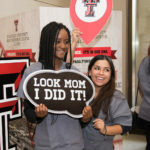 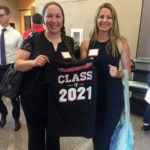 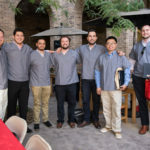 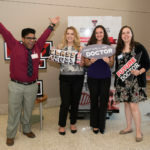 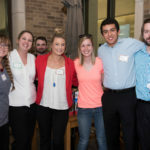 Last week, the Texas Tech University Health Sciences Center El Paso Paul L. Foster School of Medicine (PLFSOM) welcomed 103 new medical students. 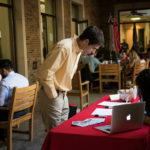 The class of 2021 represents an elite group of individuals selected for admission to the school; during the 2016-17 admissions season, nearly 4,000 prospective students applied, 535 of whom were invited to interview. 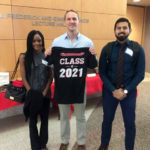 These students, who make up the PLFSOM’s ninth entering class, “not only have very competitive academic credentials, but also great personal attributes, capabilities, and the potential to become excellent doctors,” said Manuel Schydlower, M.D., associate dean for admissions. 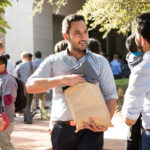 Most are Texas residents, including 25 from El Paso. 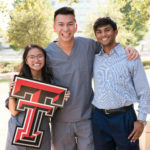 Three are from out of state. 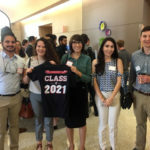 Universities represented by the new students include The University of Texas (at El Paso, Austin, San Antonio, Dallas, Arlington, Tyler, and Rio Grande Valley), Texas Tech University, Texas A&M, Brigham Young University, University of Houston, Baylor University, Southwestern University, University of North Texas, Georgetown University, Houston Baptist University, Texas Lutheran University, Lamar University, Our Lady of the Lake University, Arizona State University, Louisiana State University, Tarleton State University, Midwestern State University, Peking University, New Mexico Institute of Mining and Technology, Western New Mexico University, University of Michigan, University of Colorado Boulder, Kansas State University, Penn State University, Boston University, Vassar College, and Yale. 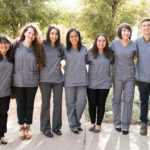 The White Coat Ceremony for the class of 2021 will be held July 22 at the historic Plaza Theatre in downtown El Paso. 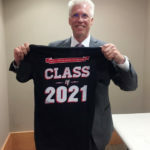 However, the students begin their studies the first week of July. 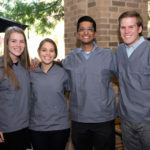 The White Coat Ceremony is a traditional rite of passage for entering medical students and signifies their acceptance into the field of medicine. 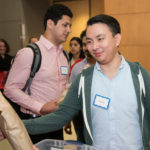 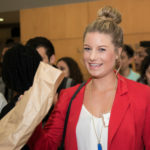 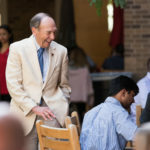 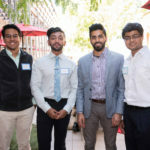 Started in 1993 by Arnold P. Gold and his foundation, the ceremony is designed to remind students of the humanism inherent to their chosen field. 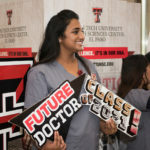 In addition to being robed for the first time, students recite an oath acknowledging their roles as primary caregivers.